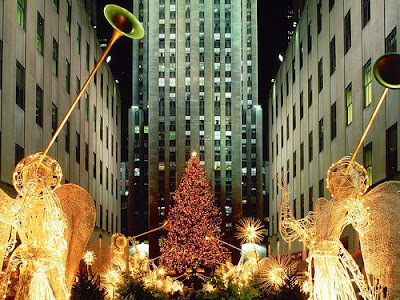 We love reading good travel blogs and we particularly enjoy dipping into National Geographic’s Intelligent Travel where we were recently introduced to Frances Coke Page and her website Christmastime in New York City. After a few minutes on the site, we were poised to reroute our flights and head for the Big Apple: the Bronx Messiah, a Brooklyn Nutcracker, the Charlie Brown Christmas at BB King Blues Club and Grill and best of all, the annual reading of “Twas the Night Before Christmas” in the Clement Clarke Moore Park, which is where Clement Clarke Moore wrote his famous poem. Frances Coke Page, we’re homesick for New York City at Christmas and it’s all your fault. I love New York. Whenever I have an unplanned time off, I call my agent at LM travel and catch a last minute flight to the big apple.